Based on John Bellairs’ 1973 novel (You can buy the book here), The House With A Clock In Its Walls stars Jack Black as the eccentric Uncle Jonathan Barnavelt, Owen Vaccaro as Jonathan’s nephew Lewis Barnavelt, and Cate Blanchett as Jonathan’s love interest Florence Zimmerman. Directed by horror-movie expert Eli Roth, The House With A Clock In Its Walls brings these three characters together to tell an engaging and entertaining story. Lewis is an awkward 10-year old boy. Even worse than the steampunk style glasses he wears throughout most of the movie, he’s orphaned through a tragic car accident which kills both of his parents. He’s sent to live with his Uncle Jonathan. There, he discovers the truth about his kimono wearing uncle. His uncle is a warlock! There’s also something weird about the house he’s about to live in. The furniture and other pieces in the home are magical. They move and change and do strange things. The house could be considered a house of horrors if it were not a good house. While I think you’ll enjoy The House With A Clock In Its Walls for the fun story, I think you’ll also discover plenty of leadership lessons in The House With A Clock In Its Walls. The House With A Clock In Its Walls starts with Lewis being shipped to his Uncle Jonathan. He was going to live with his uncle because his parents had passed away. Lewis suffered a painful loss. A loss no one wants to go through. Yet he did at 10 years old. Through his loss, Lewis discovered new opportunities. Ones he wouldn’t have had if his parents had lived and he didn’t go to live with his uncle. You may think your loss is the worst thing to happen in your life. Maybe your wife left you and you’re getting a divorce. You might have been fired from the leadership position you’d long to obtain. Or maybe you were kicked out of college while trying to obtain your Master’s Degree. Each loss is unique to an individual. Each loss is also painful. Yet there are opportunities behind every loss. For the marriage that ended in divorce, could you help counsel young couples on the mistakes to avoid in a marriage? Could you learn from your firing and come back a better leader? Getting kicked out of college could lead to a new direction for your career. Be careful of looking at your loss as completely negative. There are opportunities in your loss. When Lewis arrived at Jonathan’s house, he noticed the house was BIG and scary looking. He wondered if his Uncle Jonathan loved Halloween. Before Lewis entered his new home, he wondered what was going on. What could happen inside of the big, scary house? Would he be safe? His thoughts were fearful. They were also cautious. You see Lewis process through many different thoughts as he arrived at his new home. You’ll process many different thoughts too as you take on new opportunities. Some of those thoughts will be positive. You’ll be excited about the new opportunity. You’ll be ready to meet new people and new challenges. There will also be negative thoughts. Thoughts that will be scary to you. Will I have what it takes to get the job done? How will the new team like me? Can I really change the culture? It’s okay to think through these scary thoughts. They will help you realize what you’re scared of and you can begin to work through those fears. Don’t let the scariness of a new opportunity stop you from taking the leap! I’ve found that all one really needs in this world is one good friend. Florence tells young Lewis this shortly after he moves in. She knows the value of having a good friend in your corner. Leaders need to heed Florence’s advice. You need good friends in your life. They will help you get through the challenges of leadership. I would recommend you find more than one good friend. But if one good friend is all you can find, find him. You will need him to get through leadership and life. I played it perfect. He suspects nothing. Every night, Jonathan would search the house for the clock ticking behind the walls. He would go throughout the halls, in the rooms, and even the basement. His search was neverending. One night, Lewis notices his uncle slinking around the halls. He wondered what his uncle was doing. His uncle was none-the-wiser and thought he had avoided being detected by Jonathan. However, Lewis had noticed Jonathan in the halls. He’d suspected something wasn’t right. His curiosity was peaked. How many times have you, as a leader, done something and thought no one else noticed? Except for one problem… Someone did notice. Probably more times than you know. Really. People are watching the leaders of their organizations. They’re emulating them and seeing if they are true to their word. Know you’re under the microscope as you lead. People are watching your every move and deciding whether or not to trust you. Tarby Corrigan (Sunny Suljic) was a classmate of Lewis. He also had a broken arm. One day at school, Tarby was on the baseball field pitching the ball to himself. He’d swing one-handed, trying to hit the ball. Lewis noticed this and was asked by Tarby if he would pitch to him. Tarby didn’t pick Lewis because he thought he could pitch. He picked Lewis because he was his only choice. While this seems harsh, sometimes you will have to take what you can get in terms of employees. Right now, the unemployment rate is extremely low. This means the pool of potential candidates is low as well. If you’re searching for the perfect fit, you may have to make a compromise or two to get someone to fill an empty seat. You may have to take what you can get. This isn’t a knock on the person you’re hiring. It’s also not an indictment that the new employee won’t be a good fit for your organization. He just may not be the perfect fit. Lewis was told the house liked him. Did Lewis believe this? No! I mean, who would? Houses don’t like people… Right? Well, the house in The House With A Clock In Its Walls was different. This house could like people. Lewis’ ideas of what was true were challenged. They were changed too. You may have ideas on how leadership is supposed to work. You believe your ways are the best ways. But what happens when someone else approaches you with a new idea? One that contradicts a long-held belief of yours? Will you be willing to take the time to listen? Or will you brush the idea aside as assinine? It would be to your benefit to consider the opposing idea. Listen and learn from it. You may discover you’ve been wrong all along. The revelation Jonathan was a warlock came as a shock to Lewis. It was hard to swallow, at first. He knew if he wanted to become a warlock, he would have to be trained. Who better than his uncle? Have you found a mentor yet? Someone who could train you to become a better leader? Mentors will help you improve your leadership skills. 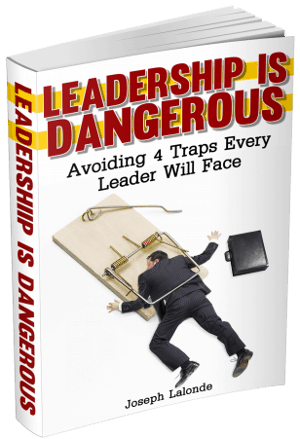 They will also help you avoid the traps of leadership they’ve experienced. Seek out a mentor. Find someone who is willing to pour into your life. Then listen to them. There was one locked cabinet in the house. Lewis asked Jonathan about it. Jonathan became very serious and said the cabinet was not to be opened. He also told Lewis he liked to have fun but there were times to be serious. The locked cabinet was one of those times. Leaders have to know there are times to have fun with your team. You can take them to team building events or have parties in the office. Yet if work isn’t getting done, there’s a problem. This means you have to be serious. You have to find the balance between seriousness and fun. You can do it. You’re the only you in the whole universe. Florence shared this truth with Lewis. He needed to hear it because he was doubting himself. You may need to hear this truth as well. There’s something special about you. You fill a void no one else can in this world. Don’t try to emulate other leaders or people of influence. You need to find your own unique spot and fill it. The house Jonathan lived in was filled with clocks. Big clocks, little clocks, odd clocks. All throughout the house, there were clocks. These clocks were all loud. They ticked and tocked. This was all an effort from Jonathan to hide the real problem: The ticking in the walls. It’s tempting to try to put a band-aid on our problems. We think if we can hide the scar, the scrap, the scab then things will be okay. You’re not making things any better by hiding the real problems you’re having or within your organization. You may actually be making things worse. While Lewis knew he wasn’t supposed to open the cabinet, Tarby went ahead and did it anyway. He saw the book inside and it was a book about necromancy (raising the dead). Lewis made Tarby put the book back. He locked the cabinet and pretended like nothing was wrong. Then, he was tempted. What if the book really could bring someone back from the dead? Could his parents be raised? The thoughts nagged at him until he decided to take the book and find out for himself. And this is where things go really bad in The House With A Clock In Its Walls. There are perks to being a leader, that’s for sure. People look up to you. You may get a bigger paycheck. You can tell people what to do. But what happens if you begin to use your influence in the wrong way? You’ll begin to lead people astray. You’ll also begin to lose the influence you worked so hard to gain. Influence isn’t meant to be used to benefit you. The influence you wield should be used to help those looking up to you. It is revealed Florence had some deep wounds. Her daughter and husband were killed. These were emotional wounds. She was also wounded physically. This was an external wound. While her external wounds healed, her internal wounds didn’t. She struggled with the guilt of her loss. She mourned for the family she lost. You have wounds. These wounds are internal and external. They may have been from years ago. You may even think they should be healed by now and are frustrated you still feel the pain. Know every wound takes a different amount of time to heal. Don’t rush your healing. It’ll come. When Jonathan learned Lewis had used the necromancy book, he was furious. He told Lewis to leave the house. There was no other choice to make. Florence corrected Jonathan. She told him he had a choice. He could let Lewis stay. Every leader will feel backed into a corner at some point in their journey. They will believe they have no choice. This could be in regards to an organizational policy or it could be in how you deal with another team member. You may think you have no choice. Yet you do. There’s always a choice. You can stand up for what’s right. Or you can do what the guidelines say. This doesn’t mean there won’t be consequences. What it does mean is there is a choice. A former friend of Jonathan and Florence, Isaac Izard (Kyle MacLachlan), told them he was dead long before he had officially died (and before Lewis accidentally resurrected him). Isaac felt dead, no life was left in him. There are people out there who feel dead on the inside. They believe their lives don’t matter. There’s nothing left for them to give. They should just give up and die. I hope this isn’t you. There’s so much life left for you to live. You don’t have to live an empty life. You can live a full and meaningful life. Don’t give up on life if your life feels empty. You are unique to this world and you have something to offer. Question: Have you seen The House With A Clock In Its Walls? If you have, did you take away any leadership lessons from the movie? 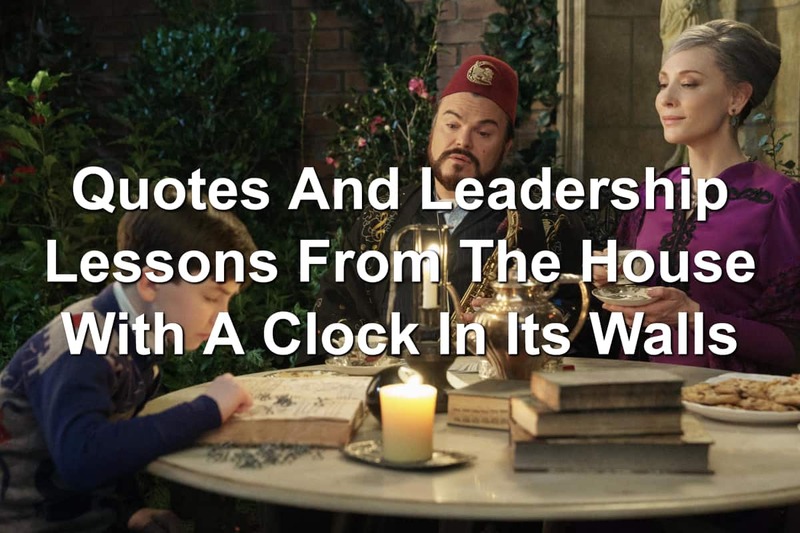 If you haven’t seen the movie, what leadership lessons from The House With A Clock In Its Walls that I shared resonated with you? Let me know in the comment section below.